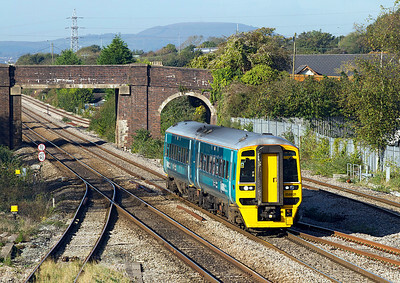 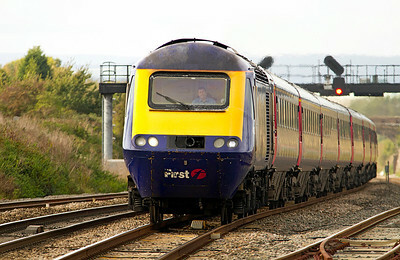 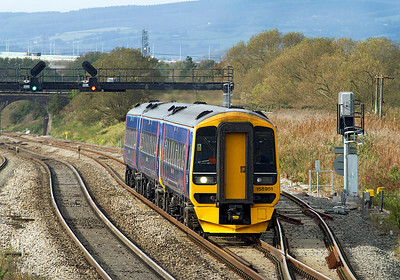 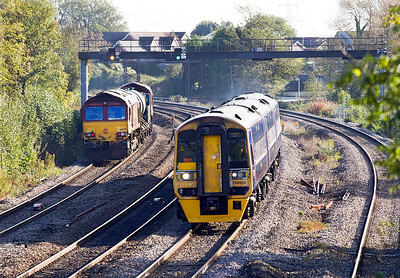 158951 forming the 13.30 Cardiff Central to Portsmouth Harbour passes Pilning. 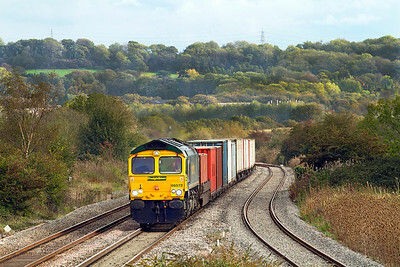 Thursday 20th October 2011. 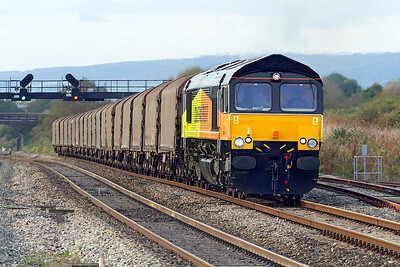 The Barton Hill based RHTT 3S59 on the leg from Moreton-on-Lugg to Weston-super-Mare passes Magor with 66175 leading, the rear loco is recent replacement on this train 66079 'Benjamin Gimbert G.C.' 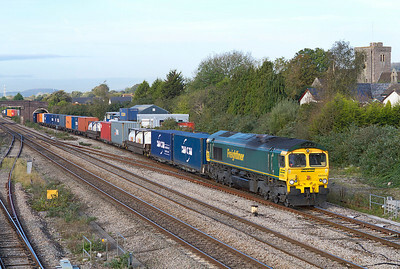 Thursday 20th October 2011. 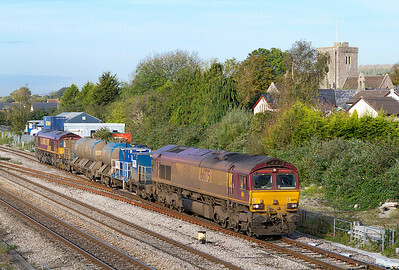 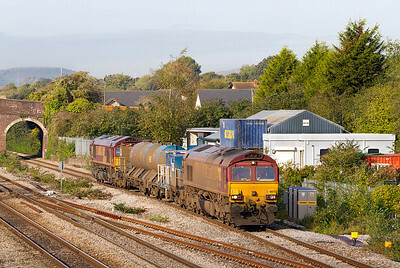 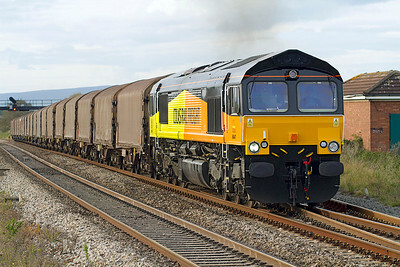 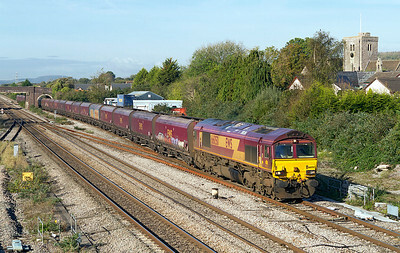 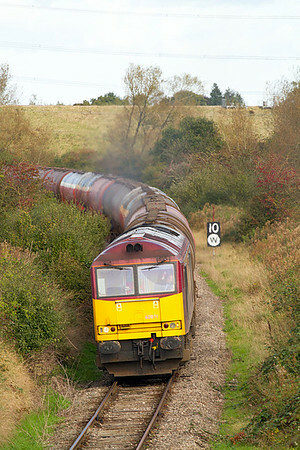 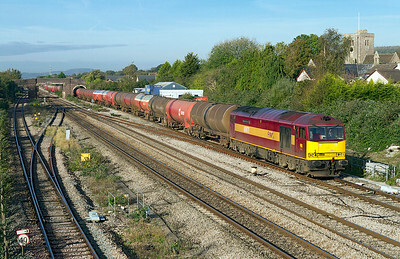 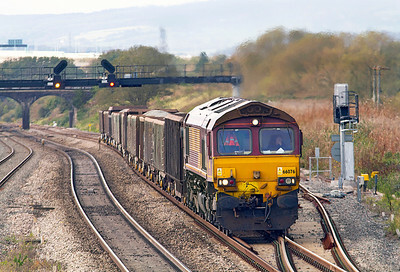 66564 heads the 4O51 09.58 Wentloog to Southampton Freightliner past Magor, Thursday 20th October 2011. 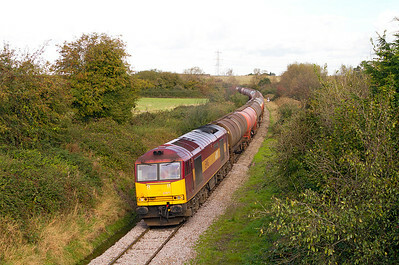 Ex Freightliner 66574 now with Colas as 66847 powers the 6O78 15.42 Llanwern to Dollands Moor loaded steel train up Pilning Bank, Thursday 20th October 2011.